Adam just completed his PhD in Psychology at York University. 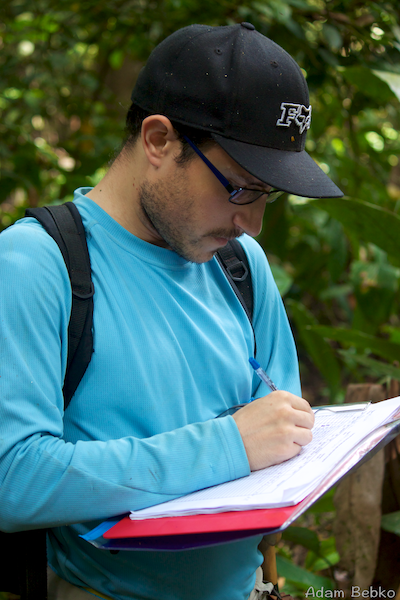 His dissertation examined primate spatial cognition and ecology, developing new methodology for mapping, simulating, and modelling primate movement patterns. Adam joined the lab in September 2018 as a Research Assistant and is currently working on creating virtual reality environments and frameworks to test visual perception. His current projects include creating a framework for experiments in virtual reality using Unity Game Engine that can examine differences in how we perceive visual (everyday 3D space) vs. pictorial space (pictures capturing 3D space).